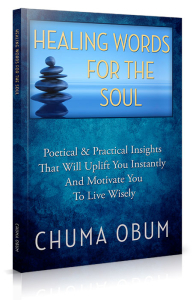 Built upon the veracity of godly wisdom and based on various real life experiences, Healing Words for the Soul is a unique source of motivational information which provides poetic insights and inspirational quotes that will instantly encourage you to take positive actions, face your fears, live wisely, and continue on lives journey with faith, love, and hope. 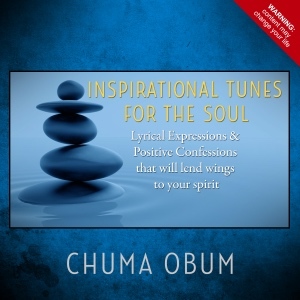 Compiled with powerful points to ponder and Bible verses to consider, this book is an absolute treasure chest of lyrical expressions and positive confessions for you to use in realizing a more meaningful life. Deepen your relationship with God in order to continually uphold godly values and virtues when reacting or responding to the inevitable ups and downs in your day-to-day life… And so much more! Words are powerful and play a paramount role in framing our lives. Healing words for the soul is a very unique book. It is a combination of poetry, Scriptures and healing words that present self-help strategies to successful achievements on all sides. I am fascinated by the writer’s creativity and depth in putting together such a masterpiece. My main attraction to this book is its foundation based on Scriptures. No matter where you are in life, there is a healing word for you in this book. This is not the kind you read once and drop off. This book is a journey! I choose to call it life’s handbook. So listen, refresh and renew your-self for the days, weeks, months and years ahead…Enjoy! God will surely shine His light on your talent because you are truly a sage of simple truths and the don of wise words. 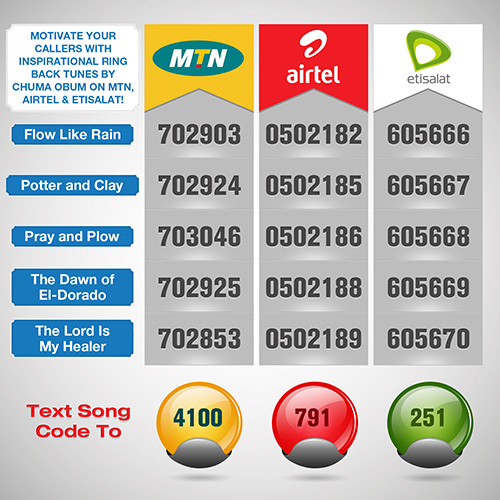 Your inspirational tunes and messages are very deep and thought provoking. I should listen to you every morning to give me the “get up and go” I need for the day. – Mary T. Umolu, Founder & Creative Director of Onikeke.com, and IT Consultant at the Nigerian Stock Exchange. 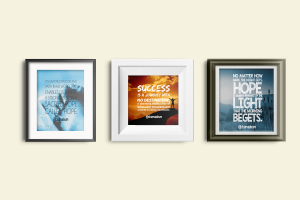 This framed inspirational prints combines contemplative quotes of wisdom with thought-provoking images that will instantly motivate you to live wisely and create a more fulfilling life. Has anyone ever told you that you are the BEST?! You have no idea who much I look forward to reading your motivational quotes; they not only give out great tips that I never knew before nor did anyone ever tell me about, but they also pump my motivation to a level that I never imagined it would go! Thank you so much for everything. Lee-ann Govender – Durban, KwaZulu-Natal, Johannesburg.